The internet is one of the most convenient and easiest way to do business, especially when it comes promoting or advertising the products and services that a business offers. This is because almost everyone is into the internet. One of the things that the internet has offered us is convenience when it comes to communication. Through the internet we can easily send emails of all sorts to different people. Email marketing became a trend because of this and we still use this form of marketing up to this day. 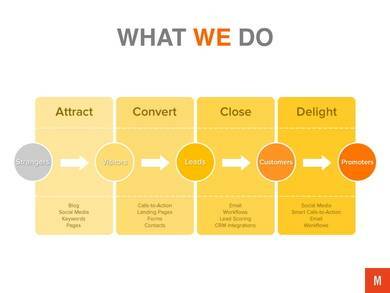 What is email marketing? Email marketing is a commercial message that is sent to a group of people who are seen as potential customers to a business. In this article are email marketing proposal templates that will help us further learn about email marketing. They can also be used as one’s reference for their needs. A software is a program that is used or processed in a computer. 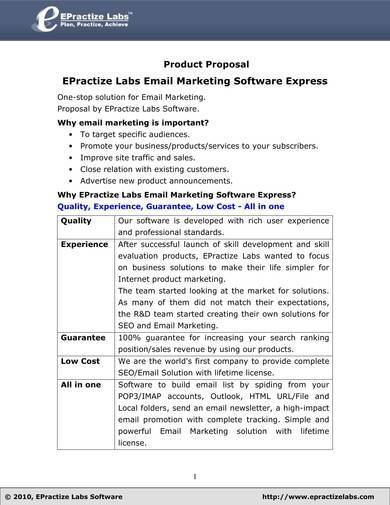 If you have a software business that you want to market online specifically through email, then you will need this email marketing software proposal template. 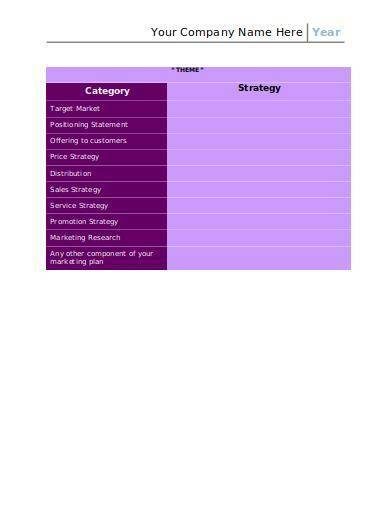 Using this template will help you create a proposal to market or introduce your products to potential customers or buyers. It provides details such as why email marketing for the said software is important, product description, the product’s target audience, comparison with similar products in the market, technical requirements, etc. Companies offering certain products and services are most likely to include email marketing as one of their marketing strategies. Since a lot of people of people use online services, its a shame to not make use of email marketing as one’s advantage. 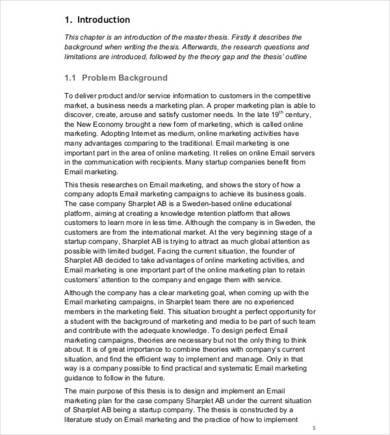 This company email marketing proposal template is a good template to use for making online or email marketing proposals. 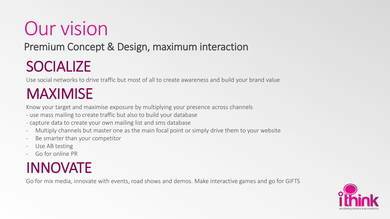 It includes details such as campaign goals and strategies, SEO strategies, online marketing tactics, what to expect, project timeline, etc. Inbound email marketing is way better tan the traditional outbound email marketing because you let potential customers or clients subscribe to your newsletter or marketing emails. This sample template above will help you come up with a good inbound email marketing proposal with its attractive and colorful layout and easy to follow instructions. 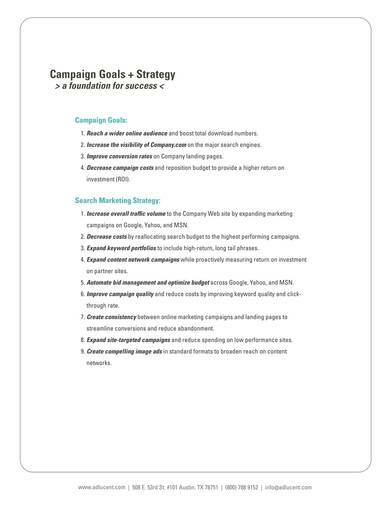 This template is a very short digital and email marketing proposal that consists only of two pages. The different sections in the template are written in bold so that they can be easily seen. It includes details, like the scope of the proposal, the required budget, event details, the criteria, etc. 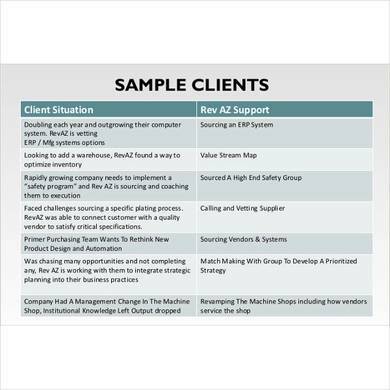 Most businesses are supported by stakeholders and without the support of these entities some business would even cease to exist. With this stakeholder email marketing proposal template, you can introduce your business to a lot of potential clients and attract more stakeholders. The template includes tips and steps on how you can properly do the email marketing task. If you have an online educational startup company, then you can use this email marketing proposal to advertise and promote your business to potential clients. The template has an entire page dedicated for the table of contents and another page for the list of figures being shown throughout the template. This makes it easy for anyone to look for the content that they are after. The sections you will find written in bold includes an introduction, methodology, literature research, etc. 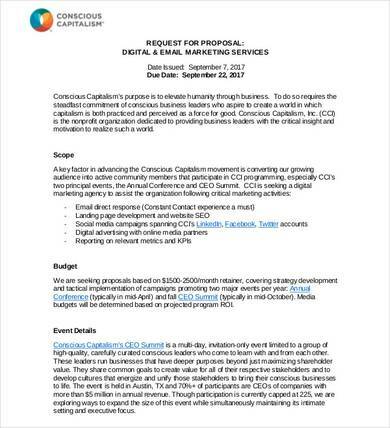 This digital marketing strategy proposal can be used both as an email marketing proposal tool and as a proposal during an actual presentation. The unique format and layout of this template will definitely attract a lot of readers and potential customers alike. The important pars or sections of the template are either written in pink or gray with a font size that is obviously larger than the rest of the texts in the document. Why is this called a perfect email marketing proposal? It is because it has all of the essentials that you will need to come up with an effective email marketing proposal. This template will help you with the use of the seven easy steps that you must follow in creating your marketing proposal. It will help you define your audience, map and track your Introduction, determine your objectives, gather your content to be used for management, prepare an outline for your goals, determine how frequent you should send emails, etc. If following a series of steps is easier for you to do, then you need to use this strategic email marketing proposal template. It is because it provides steps that will help you in creating a strategic email marketing proposal that will surely benefit your business. You also don’t need to follow a lot of steps as fie simple steps is all you need to complete your email marketing proposal. 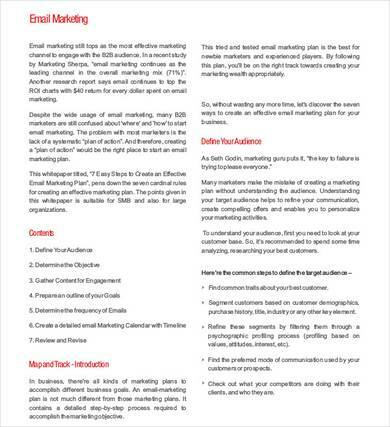 There is no other email marketing proposal that is simpler than this one-page email marketing proposal template shown above. As you can see, a space on top is provided for the name of your company as well as the year when the proposal is made. A pink table with two columns and a couple of rows is provided as a place where you will write the details of your proposal. Even if it is short, its guaranteed to be complete. 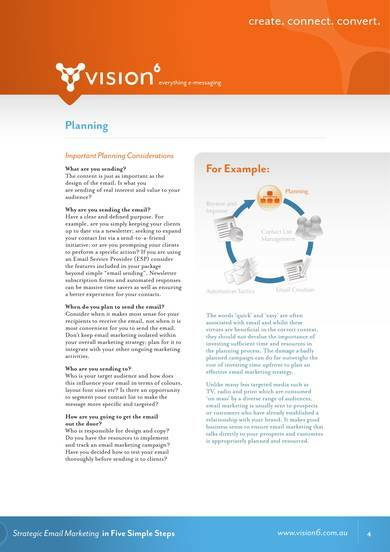 With the marketing proposal templates provided above, you are sure to create a really useful and effective marketing proposal of your own. And if you need more help and inspiration for your own marketing proposal, you can always use basic proposal outline templates and social media marketing proposal templates.